SPRINGFIELD – State Representative Randy Frese (R-Quincy) joined the large class of House Republican freshmen in the Capitol today to express their disgust with the partisan political atmosphere that has engulfed Springfield. The message they came to deliver is that there is no better time than now to call for term limits in Springfield. An initiative to put a binding term limits referendum on the 2014 General Election ballot was denied by a three-judge Illinois Appellate Court last August, leaving legislative action as the best alternative. With three separate joint constitutional amendments filed, House Republicans point to the onset of gridlock so early into the new Governor’s first term along with the increasingly draconian House rules as evidence that term limits need immediate consideration. House Republicans have three separate constitutional amendments filed aimed at imposing term limits in Illinois: HJRCA1 filed by Rep. Ron Sandack (R, Downers Grove), HJRCA 10 filed by Rep. Joe Sosnowski (R, Rockford) and HJRCA 28 filed by Rep. Steve Andersson (R, Geneva); all seek to put on the ballot limits on legislative terms to varying degrees. It is expected the Governor’s own proposal will be filed soon. “Illinois requires bipartisan efforts to bring about change, and as we’ve seen in the past, the state hasn’t received it. 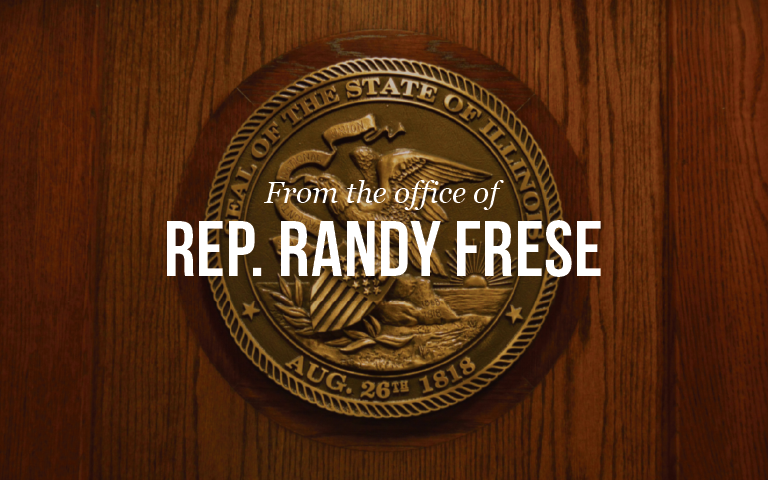 Term limits for members of the General Assembly would help ensure newer, better initiatives are brought to Springfield and voters would receive a much bigger voice away from the status quo,” added Representative Frese.